Fig.2 Schematic diagram of soft X-ray instrument. Fig.3 Visualization of a test chart by soft X-ray instrument. Fig.4 Polymer electrolyte fuel cell designed for soft X-ray visualization. Fig.7 Liquid water distribution in the cathode MPL and GDL under fuel cell operation. Fig.9 Liquid water distribution in the MPL and corresponding SEM image. (1) Tsushima, S., and Hirai, S., “In situ Diagnostics for Water Transport in Proton Exchange Membrane Fuel Cells”, Progress in Energy and Combustion Science, Vol.37, (2011) pp.204-220. (2) Bazylak, A., “Liquid water visualization in PEM fuel cells: A review”, International Journal of Hydrogen Energy, Vol.34, No.9, (2009), pp. 3845–3857. (3) Turhan, A., Kim, S., Hatzell, M., and Mench, M. M., “Impact of channel wall hydrophobicity on through-plane water distribution and flooding behavior in a polymer electrolyte fuel cell”, Electrochimica Acta, Vol.55, No.8, (2010), pp.2734-3745. (4) Hartnig, Ch.. Manke, I, Kuhn, R., Kleinau, S., Goebbels, J., and Banhart, J., “High-resolution in-plane investigation of the water evolution and transport in PEM fuel cells”, Journal of Power Sources, Vol.188, Vol.2, (2009), pp.468-474. (5) 津島将司，平井秀一郎，“固体高分子形燃料電池における水の「その場」計測と輸送解析”，分析化学，Vol.59, No.1 (2010), pp.1-11. 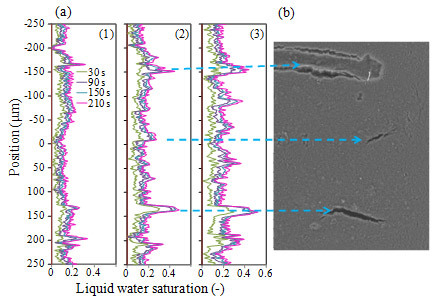 (6) Sasabe, T., Tsushima, S., and Hirai, S., “In-situ Visualization of Liquid Water in an Operating PEMFC by Soft X-ray Radiography”, International Journal of Hydrogen Energy, Vol.35, No.20 (2010) pp.11119-11128. 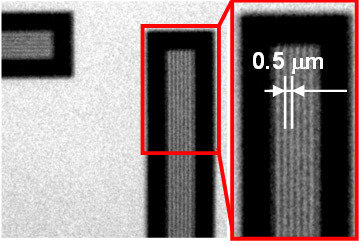 (7) Sasabe, T., Deevanhxay, P., Tsushima, S., Hirai, S.: Soft X-ray Visualization of the Liquid Water Transport within the Cracks of Micro Porous Layer in PEMFC, Electrochemistry Communications, Vol.13 (2011) pp.638-641. 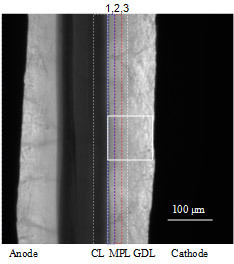 (8) Sasabe, T., Deevanhxay, P., Tsushima, S., Hirai, S.: Investigation on the Effect of Microstructure of PEMFC Porous Layers on Liquid Water Behavior by Soft X-ray Radiography, Journal of Power Sources, Vol.196, Vol.20, (2011), pp. 8197-8206. (9) Deevanhxay, P., Sasabe, T., Tsushima, S., and Hirai, S., “Investigation of Water Accumulation and Discharge Behaviors with Variation of Current Density in PEMFC by High-resolution Soft X-ray Radiography”, International Journal of Hydrogen Energy, Vol.36, No.17, (2011), pp. 10901-10907. (10) Deevanhxay, P., Sasabe, T., Tsushima, S., and Hirai, S., “In-situ Diagnostic of Liquid Water Distribution in Cathode Catalyst Layer in an Operating PEMFC by High-resolution Soft X-ray Radiography”, Electrochemistry Communications, Vol.22, (2012), pp.33-36.